Am I right in thinking that tickets booked as part of a holiday package from someone like Titan would be from a very cheap bucket? Package holiday tickets cannot be upgraded full stop, irrespective of ticket flexibility. I booked Hong Kong Flights and Hotels via BAH and was still able to upgrade from CW to First one way, over the phone. Rob – that is incorrect. 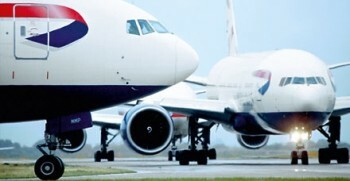 I upgraded a package booking from Economy to Club Europe very recently via the BA Holidays call centre. It was booked in to N class initially. The main issue with booking a package is that BA have removed (in the past year or so) the ability to see which fare class a flight is booked in to – unless you call them up and ask them before you book it…. Perhaps the BA website works for direct flights but when there are connecting flights via LHR the “upgrade using avios” gives useless results. If I search for HEL-LHR-KUL with “upgrade using avios” for May 2019 there is only availability about one day in seven. And the price is 66k avios + 8800e cash. If I search for cash fares then EVERY DAY in May is available for a cash fare of 6500e (this is booking class A which is refundable and changeable for 150e fee). So if you upgrade using avios you pay an extra 2300e cash plus 66k avios and severely limit your choice of flights?? I don’t know how the website can go so wrong. Even a fully flex J ticket is only 5600e so the 8800e cannot come from picking the highest price J ticket and upgrading to first with avios. O/T Anyone else having trouble logging into Iberia? I can log in via app and on mobile, but not on website and combine my avios. Changing browser to Firefox often works. I bought 1500 worth of Avois for £65 and on top using my own Avois to make up 90000 for a redemption of £500. Was this wise? You saved 0.55p per Avios spent. They’re generally worth around 1p each as pointed out by Alex, but I tend to get at least 2p per Avios for my own use. If there was literally nothing else you want to use them for then you could justify it as being wise, but I’m confused when/why you bought 1500 of them for £65? Those Avios only saved you around £8.25 which is a huge loss. Though buying Avios for around 4.5p each is most likely never going to give you a return anyway. Well that’s a bit better but still very poor value. The most important question is whether YOU are happy with it though. I wouldn’t consider redeeming my Avios for any less than 1p each (and think twice if it’s less than 2p), but as long as you spent less than 0.55p each acquiring them and there was nothing more lucrative you could have used them for, it could make sense for you to do this. Thanks for your comments – all but £63 was through collection over the years ie. not paid for. This is my first time ever paying by Avios although I’d tried several times to use them by upgrading but found them ridiculously expensive in addition to cash payment. At the end I redeemed it just so I could make use of it rather than just collecting. No worries – that’s a benefit often overlooked. While the value was poor, it sounds like your options were not use them at all or use them for this, which doesn’t make it as bad as it initially seems! You want to be aiming to get at least 1p per Avios in value. Ofcourse £437 off is better than nothing but for c88.5k Avios you could’ve done better. I’m not sure about your spending or if you were travelling solo or with someone but £10k spent on an AMEX BAPP gets you 41k avois and a 2 for 1 redemption voucher so 130k avois would’ve got you a pair of CW redemptions to a lot of BA destinations. If you can add a few clubcard points or an AMEX gold credit card application you could’ve collected enough for 2 in First. The surcharges and fees on redemptions can mean its not much cheaper than an two ex EU J tickets but then LHR is easier than AMS for some and less flying around if your companion isn’t up for it. I just find that avios are hard to spend on flights when cash fares are available for prices in some casecjust double the avios fees. J fares ex the EU and increasingly thevUK can be had for £1200 against BA fees of £598 for a redemption. I now only use BA when I can be sure I can get avios upgrade from crap world to J+ which makes using them bareable. Your second paragraph contradicts the first. You mean like KLM in Amsterdam and Air France in Paris…..no problem for me at all. Where can’t you fly to from London ? It seems IT (package deal) or BT (bulk or special fare) our organisation gets every time for ba flights from our travel agent are so rare they don’t get mentioned in articles? They come in all fare (economy anyway) classes and stop upgrades. Rob has explained them to me and I took it up with them but no joy. Your agent is ripping you off, end of story. Those tickets should only be sold as part of a package holiday. For the record,anyone who uses the 40% off BA flights with Vitality… The class of the tickets does vary and is regularly a ticket class is the “upgradeable” list. However, under all circumstances it is not possible to upgrade using cash or avios. It says contact your travel agent, but of course these are a third-party who won’t be able to help you individually. I would be interested to hear if anyone has ever found a way of upgrading asides from AUP. I was planning to cover Vitality tomorrow, spookily. I had similar experience last year booking with TrainFinders. Booking class N but still could not upgrade using Avios. Both BA and TF kept passing buck. if you use avois to upgrade a cash booking to club europe (say), do you then also earn tier points as a club europe booking (i.e. 10 tier points becomes 40)? I’ve done this a few times and seem to earn club europe tier points but on my last flight I didn’t. Have I ‘got lucky’ via a glitch or was my last flight not credited correctly? Should be what you paid for. Is B class upgradable? I have B showing on one of my bookings. I may stand to be corrected, but I understand that B is “Flexible Economy”, so computer says Yes! Thank you. I just saw that it was 20 TPs too. Hopefully something will open up. Can anyone post link to Avios distance based chart? i.e. the one which says zone 1 is 1-650 miles etc. If I was willing to pay 1p per avios, any idea on how do I go about acquiring Avios quickly. Need some for 241 redemption. If you can wait a couple of weeks, then apply for a Platinum Amex and refer yourself and other half for bonus of 18k for every Amex referral that’s accepted. Will have a short term negative effect on your credit rating mind. I need to buy something like 150K avios for two 241 vouchers to use. Isn’t there now a 30 period before you can redeem the voucher? Thanks. Thought they had scrapped that site to be honest. You now have to manually enter your card number for every offer. And there is no way to tell which offers are saved on your card. Terrible system. The saved offers still show on your Amex account with all your other saved offers. Not on MBNA or Lloyd’s issued Amexes, unless they have recently fixed the website? O/T – anyone still waiting for SPG points to transfer over from their SPG card? Well partly, had a third transfer over last week but two thirds still in the Amex acc. which is a little confusing. Yes, had 36,000 disappear from my SPG Amex account 3 days ago. No sign of them in my Starwood/Marriott account yet, but given the merger etc I just assumed it would take a few days…?